The new Wii U GamePad battery can hold a charge for eight hours of playtime compared to the regular GamePad's battery life of three to five hours. For people who like to play games for the full day, long battery life is a must. 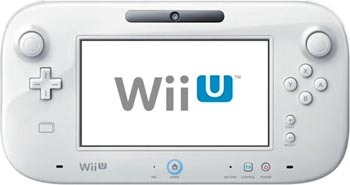 The Nintendo Wii U's GamePad battery only has three to five hours of battery life, meaning players have to plug the GamePad into a wall socket often. A high-capacity battery for the Wii U GamePad will add extra life, clocking in at about 8 hours of life. The high-capacity battery first debuted in Japan this past summer and moved to Europe months later. It will now come to North America, as the new battery is available for purchase in Nintendo's online store. Without factoring in the cost of shipping, the extended battery life costs $32 and can be installed to the Wii U GamePad with just a screwdriver and the included instructions. Hopefully Nintendo will put this battery in all future GamePads, but it is unknown whether this will be the case. The short battery life of the Wii U GamePad is annoying for anyone doing marathon play sessions. The battery life will change depending on use of the Wii U GamePad, wireless communications use, ambient temperature, and the screen's brightness setting. For Wii U players who use the GamePad frequently and prefer to have the brightness turned up, investing in the high-capacity battery would be a good investment. Wireless has been the wave of the future since the previous console generation, and that means battery life is important for anyone who isn't playing for one or two hours at most at a time. Here's hoping the new battery becomes a standard in future GamePads.